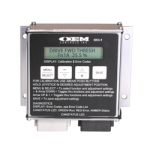 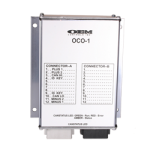 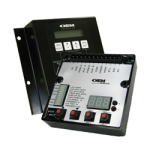 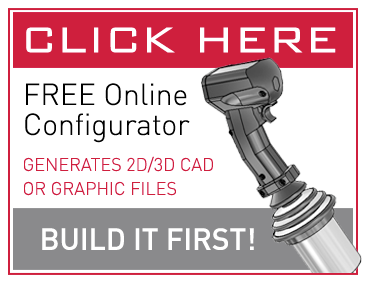 These rugged, dependable and versatile controllers are capable of single, dual or three-axis operation (JS3 only). 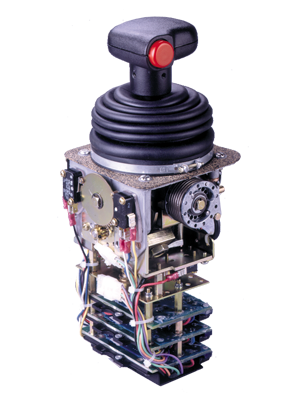 Switches and potentiometers can be operated in each axis. 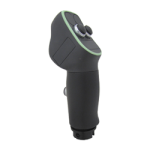 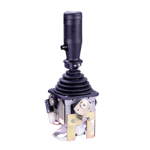 The JS2 utilizes heavy duty, double break N2 switches; up to 12 per axis. 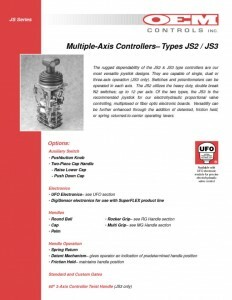 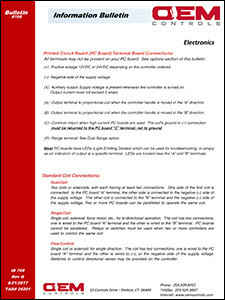 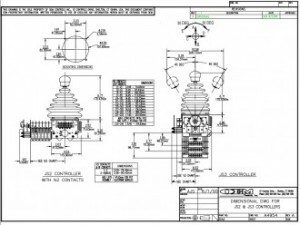 The JS3 is recommended for electrohydraulic proportional valve control, multiplexed or fiber optic electronic boards. 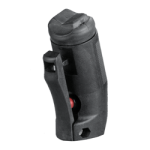 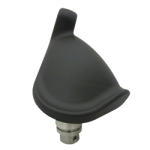 Options include detented, friction held, or spring returned-to-center operating levers. 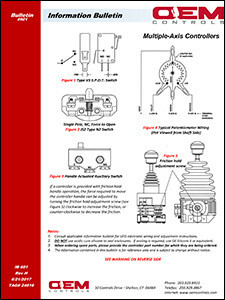 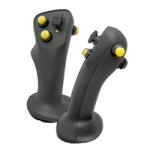 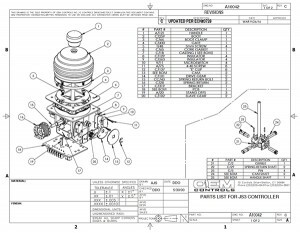 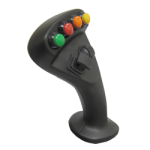 The Joysticks support horizontal, vertical, and tandem contact drive arrangements.